The WAWE expects all those involved in international equestrian sport to adhere to the Code of Conduct and to acknowledge and accept that at all times the welfare of the horse must be paramount and must never be subordinated to competitive or commercial influences. The WAWE urges all involved with the sport to attain the highest levels of education in their areas of expertise. Name: WED e.V. – Working Equitation Deutschland e.V. Arrival by plane: Franz Josef Strauss airport München, taking the urban railway S8, dismounting the railway at München Daglfing, taking a Taxi to “Olympiareitanlage”. Athletes and/or horses present at the event without having been entered through the WED e.V. Online Entry System will automatically be disqualified unless compelling circumstances warrant otherwise. Please register yourself or your team in the “nomination form” (http://working-equitation-deutschland-ev.de/wm-2018-1/wm-nomination-form/) as soon as possible, latest until 10/04/2018). Your registration will automatically be sent to your association, the show office, our accounting and payment agency EventClearing and the organizing committee. If you sign in for the World Championship as a team, please register your national association and a team responsible for finance including relevant contact details (e-mail-address, phone number). This responsible will be contacted by EventClearing concerning the payments of entry fee directly after the application. Single riders will be contacted by EventClearing via e-mail concerning the payments and further registration on app.eventclearing.lu. If you have any questions, please contact info@eventclearing.lu. After you received an e-mail from EventClearing please register your data on app.eventclearing.lu as the accounting is done via this platform as well. In the case of withdrawals after the date of definite entries or no-shows the athlete or the respective NF will be held liable to reimburse the Organiser for the actual financial loss incurred by the Organiser (i.e. stabling and hotel expenses) as a result of the late withdrawal or no-show. Amount charged: € 150,00 plus possible hotel costs etc. The V. World Championship of Working Equitation comprises 4 trials (Dressage, Ease of Handling, Speed and Cow Trial) and has three different classifications. 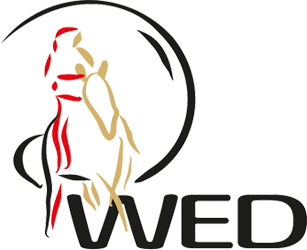 Each competing country (represented for its national equestrian federation or national organization recognized by WAWE) submits a team of 4 riders, selected nationally and representing the traditional equitation of the country in question. The riders must have the passport of the country they represent. WAWE in accordance with the national federation or national organization recognized by WAWE cannot authorize a participation of a rider that competed in non-WAWE competitions in the same year. allowed to participate later for other nations. The classification is based on the total number of points scored in accordance with a Score Chart (see Appendix 1 of the current regulations of WAWE) for the 3 best team performances in question in each of the 4 championship trials. In case of a team competing only with 3 riders, all their results count for the team classification. No country may submit more than one team. Any substitutions will comprise both horse and rider and not either horse or rider. An individual classification based on the performance of competitors in the first three trials (Dressage, Ease of Handling and Speed). This classification will be based on the results achieved by competitors belonging to a National Team and wearing the traditional Working Equitation costume of the respective country, i.e. team members and reserves. 0 (zero) points will be awarded to any competitor disqualified in any trial. Countries not having a minimum number of competitors sufficient to comprise a team (3) may compete in individual trials only. An independent collective classification, only for the result of the cow trial test. Trial will take place at the end of each Trial, for the top 5 riders on horsebacks. The final price giving ceremony will take place on Sunday at arena 15. The tests of the Master Class (Dressage Trial, Maneability Trial, Speed Trial, Cow Trial) are carried out according to the current regulations of WAWE. Special arrangement: Double room € 90, – / Single room € 75.-. Use Code „Working Equitation WM Pferd International” for reservation. Accommodation will be at the athletes’ own expense. Meals will be at the athletes’ own expense. Accommodation will be at the athletes’ expense. Meals will be at the athletes’ expense. Organisers must provide proper sanitary conditions. The showering facilities should be sufficient for both male and female grooms with hot and cold water. Shower facilities as well as restrooms should at all times be in a state of cleanliness. The draw takes place in the tent of the WED e.V. beside the competition arena. Horses will be stabled (incl. 1st bedding included – shavings) on the show grounds from 09/05/2017 to 13/05/2017. The necessary number of boxes has to be ordered when handing in the entries – the order is binding. If no boxes have been ordered, the OC will reserve one box per horse entered. Only the assigned stables may be used. Forage, hay and straw can be bought on site with the stable manager. The number of athletes required to present themselves for the prize-giving ceremony of each competition is 5 athlete/horse combinations. The athletes are authorised ☒ not authorised ☐ to carry the logo of their personal sponsor. Transport expenses to be paid by the athletes. The time and date of arrival of athletes, horses and their means of transport must be given to the Organiser in order to facilitate them on arrival. Shuttle Service from hotel to the showground will be made available. Customs and veterinary fees will not be taken over. In accordance with the Code of Conduct for the Welfare of the Horse it is imperative that all horses at events are physically fit and free from infectious disease before being allowed to compete. Required health tests and vaccinations: ./. Specimen Import Licence applied: ./. (see http://eurlex.europa.eu/legal-content/EN/TXT/PDF/?uri=CELEX:32009L0156&from=DE) of the currently valid version will be necessary. b) in case of arrival from a country not belonging to the EU, a health certificate for registered horses acc. to sample of Annex II (see https://www.bmel.de/DE/Tier/TierhandelTransport/Gesundheitsbescheinigungen/_texte/Pferde.html) of the decision of the commission 92/260/EG of the currently valid version will be necessary. A certificate must be done in at least one official language of the country of destination and in one official language of the member country. The athlete must carry with him the original certificate, not a copy. The Organiser sees to it that on the competition site, an official state veterinarian is present to issue the health certificates which are necessary for the transport of the horses to their destination abroad. In case the OC has entrusted a forwarding agency, the latter is ready to assist regarding the required documents. Furthermore, questions relating to health requirements for horses can be directed to the veterinary authorities in the country of origin or in Germany. Horses participating in WAWE Events are subject to injury surveillance protocols; and in the event of fatality, a post mortem examination. Horses must be fit to travel and be transported in suitable vehicles. Any government requirements for disease testing and control must be requested well in advance, to ensure that the horse is in compliance by the time of arrival at the border of the country where the event is taking place. Athletes, or their representatives, have the responsibility to comply with national legislation in both their country of origin and the host nation of the event. Where necessary athletes must contact local government authorities or veterinary advisors for information regarding animal health requirements and transport legislation. Within the European Union (EU), this includes EU Council Regulation (EC) No 1/2005 concerning the protection of animals during transport within the Member States of the EU. For horses permanently resident in a Member State of the European Union: all horses must have a national EU passport in compliance with EU Regulations. On arrival at an Event venue, all horses must undergo an examination by a veterinarian to confirm their identification from their passport and micro-chip ID (where present), their vaccination status and general health. To protect all horses attending events, any horse with a questionable health status concerning vaccination, disease or other concerns, must be stabled within the isolation facilities provided by the Organising Committee pending a decision on entering the venue. All horses will be assessed for their fitness to compete during the Horse Inspection. Any horse demonstrating questionable fitness may be referred to the Holding Box for further veterinary examination. Horses not deemed fit to compete by the Inspection Panel will not be permitted to compete. All horses are subject to examination under the protocol for abnormal limb sensitivity throughout the period of an Event, including, but not limited to, between rounds and before the Jump Off. Horses may be examined once or on multiple occasions during the Period of an Event. Horses may be selected for examination under the protocol randomly or they may be targeted. All horses selected to be tested must submit promptly to the examination or are subject to immediate disqualification. There is no obligation to examine any specific number of horses at an event. All horses competing at WAWE Events may be subject to sampling for the presence Equine Prohibited Substances in accordance with the Equine Anti-Doping and Controlled Medication Regulations (EADCMRs). Horses may be selected for sampling in accordance with obligatory testing, targeted or random sampling procedures. Elective Testing may be carried out prior to an Event to check for the presence of prohibited substances. Please refer to http://inside.fei.org/fei/your-role/veterinarians for information and details. Athletes can be tested at any WAWE Event, by the WAWE or by other Anti-Doping Organisations with testing jurisdiction. Horse sport is associated with dangerous risks. The WAWE, WED e.V. and the organizer of this tournaments shall NOT be liable for material and property damages or injuries of any kind whatsoever in the case of participants, owners, assistants and spectators who are in connection with the WAWE or with a WAWE event. The WAWE and the WED e.V. expressly excludes all liability. It is your responsibility as an Athlete/Owner/Support Personnel to ensure that you have adequate personal accident insurance in place to cover your participation at WAWE Events and in particular to insure against any personal injury or medical expenses arising from an accident, injury or illness which may occur at a WAWE Event. You should check with your National Federation to confirm if your National Federation’s insurance policy (if any) covers personal accidents and/or illnesses which may occur when you are attending at/participating in WAWE Events. If your National Federation does not have a personal accident/health insurance policy or if the National Federation’s insurance policy does not cover personal accident or health claims, then you should obtain your own personal accident and health insurance policy to cover your attendance/participation at WAWE Events. You should also ensure that you are insured against property loss, theft or damage which may occur at an WAWE Event. Again, the advice is to check with your National Federation to confirm if they have an insurance policy in place which would cover you in case of such property loss, theft or damage. If not, then you should obtain your own personal property insurance to cover such situations. The organizer declines any liability for property or pecuniary damage which may happen to visitors, athletes, grooms and horse owners through slight negligence of the organizer, his delegates or his assistants. The OC is liable in case of intent, gross negligence as well as in case of injury to life, body or health and in further cases he is liable for compelling legal liability acc. to the legal requirements. As an owner you should ensure that your Horses are adequately insured against any injuries or illnesses they may sustain while participating at a WAWE Event. To be valid, all Protests and Appeals must be made in writing and accompanied by a deposit of € 100.-. In the event of any discussion concerning the interpretation of the schedule (in translated languages), the English version will be decisive. In exceptional circumstances, together with the approval of the WAWE Board of Directors and the Ground Jury, the OC may change the schedule in order to clarify any matters arising from an omission or due to unforeseen circumstances. Any such changes must be notified to all athletes and officials as soon as possible. The times stated under “6 Timetable” are subject to alterations. According to paragraph 6 of the German Animal Welfare Act, trimming the vibrissae around eyes and muzzle as well as clipping or cutting the hairs inside the ears of horses are prohibited. The horses must be marked with bridle numbers at all times on the event grounds. For all athletes under the age of 18, helmets are required on the event grounds. It is generally recommended to wear a helmet. Dogs have to be kept on the leash. Master Class — Min. 6 y.o.